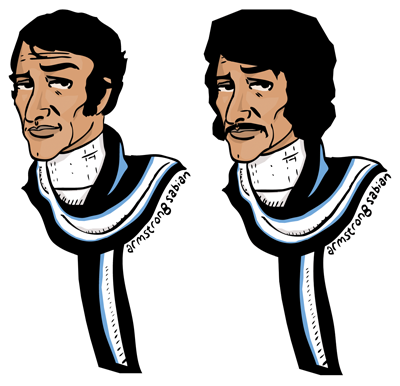 Today I send out my thanks to Armstrong Sabian at Mister 8 for today’s tribute to Peter Wyngarde – These illustration are by Armstrong, and he has suggested that they could be turned into paper dolls…maybe but then I’d want the full kit including the eyepatch from the Department S episode The Pied Piper of Hambletown (and possibly the Gold Mask from Flash Gordon)! Tomorrow I’ll return with the The Man Who Liked Lions, one of Wyngarde’s appearances on The Saint. Meanwhile, to visit Mister 8, click here.